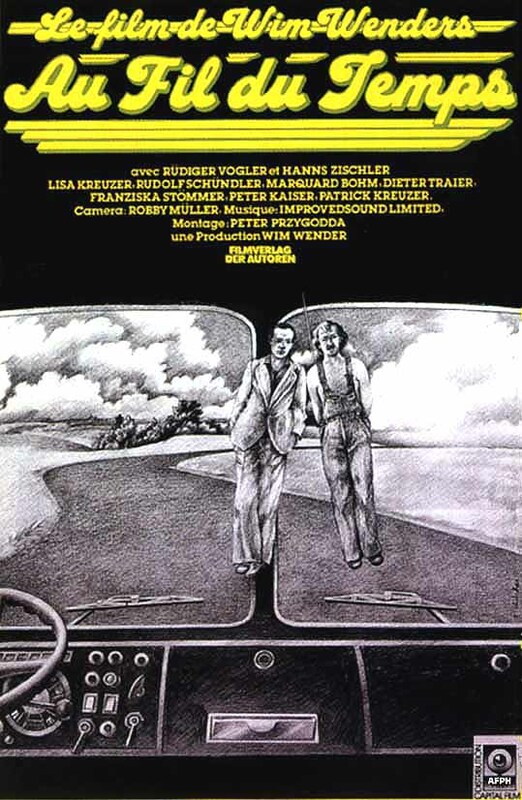 Wim Wenders's "Kings of the Road" differs from most road movies insofar as it does not quite conform to the conventions of the genre - a setting out, a journey and an arrival. Its two protagonists, Bruno, a cinema equipment maintenance mechanic and Robert, a pediatrician, have already commenced their journeys before the film begins and there is no clearly defined destination at the end. True, their initial encounter marks the beginning of a developing friendship but Wenders does not seem to be particularly interested in where it will take them, rather is it the minutiae of the journey itself that is all important. With a running time of three hours in which very little happens, it would be easy to dismiss the film as self-indulgent. But this would be to miss the point, which is a recreation of the rhythm of everyday life. In the case of Bruno we are aware of every little thing he does. He climbs naked out of his van. Later we watch him shave, and at one point we see him defecating in an open landscape in a middle distance shot held for as long as the act takes. Appropriately there are no such candid camera shots of Robert. He is an altogether more complex and private person. Estranged from his wife, he is clearly on the cusp of suicide when we first meet him. Playing "chicken" by closing his eyes while driving, he ends up in the river. He climbs out of his immobilized vehicle unaided, to be helped on his way by Bruno who is the only witness to the misadventure. The couple barely talk for some time, but a bond of friendship gradually develops between them so that Robert becomes Bruno's companion during his tour of cinemas in small towns on the East/West German border. And that is about all there is to it really. Except that the very feel of the flat landscapes, the river, the open road, level crossings and seedy cinemas takes one over, so that one hardly notices the minutes ticking away. This journey may be of little consequence but Wender's acute eyes and ears for detail make it one well worth taking.